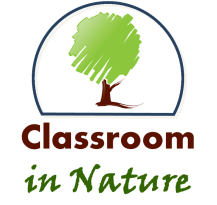 Below you will find the links to the different components of how you would develop an outdoor classroom. Feel free to browse each component, and remember, the costs listed are just estimates. Please remember that outdoor classrooms come in all different shapes, sizes, varieties for all different types of purposes. This proposed outdoor classroom design is just one possible design which could serve as a doorway to the natural world for children, faculty/staff, and community members in three forms: as a setting for lectures and group discussions, as an opportunity for hands-on engagement with natural elements, and as a setting for relaxation and restoration. Some outdoor classrooms are very simple structures that are relatively inexpensive, while others may be more intricate and have significant investments of labor and materials. This proposed outdoor classroom was developed for Northern Illinois, but could potentially be applied in other climates. Also note that the plants suggested here are primarily limited to cold hardiness zones of 5 - 6. Clearly not all lesson plans can be adapted to an outdoor setting such as those requiring a drawing board for demonstration of a skill (e.g., how to perform a computation in calculus, or studying a large map). Thus, an outdoor classroom is not always superior to an indoor classroom. I would recommend you go out and learn about environmental science or biology by picking up plant parts and understanding ecological processes in context. Also, one may learn about sociological concepts though participating in community-based gardening initiatives or conservation projects. Another topic of learning that would be appropriate in this outdoor classroom setting would be to silent or group read a novel or textbook followed by class discussion. Not only this, but physical research skills could be learned through participation in field work within and around the outdoor classroom.